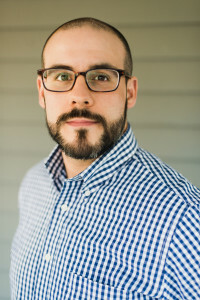 Derek Palacio received his MFA in Creative Writing from the Ohio State University. His short story “Sugarcane” appeared in The O. Henry Prize Stories 2013, and his novella, How to Shake the Other Man, was published by Nouvella Books. His debut novel, The Mortifications, is forthcoming in 2016 from Tim Duggan Books, an imprint of the Crown Publishing Group. He is the co-director, with Claire Vaye Watkins, of the Mojave School, a free creative writing workshop for teenagers in rural Nevada. He lives and teaches in Ann Arbor, MI, and is a faculty member of the Institute of American Indian Arts MFA program.